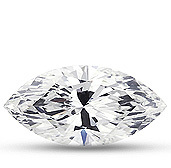 Did you know that you can save a large amount of money by purchasing a Clarity Enhanced Diamonds? We are the only online seller of both Enhanced and Non-Clarity Enhanced Diamond. We have created a price comparison table that make it easy for you to see how much you could save with clarity enhanced diamonds. 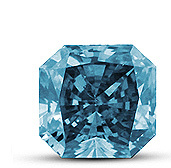 Natural fancy colored diamonds are very rare, extremely attractive and tremendously expensive. Very few people have the pleasure or owing one of these stones. However with modern advancements in the diamond industry it’s now possible to enhance the color of a diamond into a glowing and intense colored stone. Diamond Traces use high-energy of electron saturation to alter the appearance and color of diamonds. This process called Irradiation; it’s very safe and under normal wear and tear will stay a lifetime. An HPHT stand for High Pressure High Temperature, which is very similar to nature treatment, is a process which is very similar to nature, putting the diamond back into the environment in which is formed. HPHT used to transform some unpopular brownish into more expensive colorless diamonds but still very few diamonds qualify for this process. The HPHT process is absolutely permanent and irreversible. There is no need to avoid extreme temperatures as with other color treated diamonds. Because the process is permanent, it is possible to obtain GIA or EGL certificates for HPHT-treated stones. HPHT-treated diamonds offer excellent value, as they are of high color and clarity but are less expensive than untreated stones.